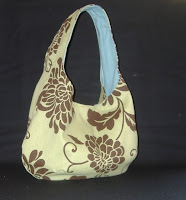 Bio Girl: The Kat Sac Giveaway!! Okay, as all my many readers know (all five of you) I don't usually partake in giveaways on this blog. Maybe I am a little self absorbed and usually feel the need to talk all about MEEEE, or maybe it is because I never have anything I think you all might want to try to win. Who knows. What I do know is that Chic Shopper Chick is one of my favorite blogs and she gives awesome stuff away all the time!! I sat down this morning to write some random post most likely talking of how it is day 25 and isn't that exciting everyone?? Isn't it? ?ISN'T IT??? BUT then I went over to CSC's site and saw she is giving away an awesome new purse and just felt that it was worth sharing with all the Bio Girl readers! Day counts and weekend updates can wait until tomorrow! Okay, so here is the low down of the give away. 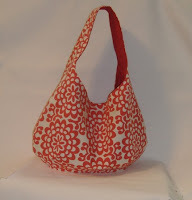 First off, let me remind you that I already won the awesome baby bag from Chic Shopper Chick and her taste is amazing. I would enter to win anything she puts her stamp of approval on! All you have to do to win the Kat Sac is to run on over to this post here and leave a comment telling her which bag you want. Then for an extra credit entry you can either add her to your reader (which is a good idea anyway because she gives good stuff away all the time!) or you can do a post about the bag giveaway. Now, for some reason I feel the need to tell you that I am not just writing this post to get the extra entry (which is awesome) but to honestly pass along the chance to win such a cute bag! Okay, that's it. Go enter. I hope you win. Actually, I REALLY hope I win, but if I can't then maybe one of the Bio Girl Readers can! Good Luck, and we will be back to random me-me-me updates tomorrow! Saturday in the ER for the "Bite"